ACT Policing are seeking witnesses to an aggravated robbery at the Mawson Club during the early hours of yesterday morning (Monday 4 August). About 4am, a man entered the Mawson Club on Heard Street, Mawson. He proceeded through the building and threatened two staff members with a weapon, demanding cash. Staff complied with the man’s request and the offender then fled on foot with a soft red lunchbox style bag through the rear of the building and through a carpark. ACT Policing attended and members of the Australian Federal Police Forensic Services examined the scene. 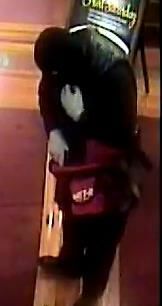 ACT Policing’s investigations are ongoing and CCTV footage is being sought. The offender was described as being a man of solid build, about 186cm (6’1”) tall with an Australian accent. He was wearing a black balaclava, all black clothing and black Nike brand shoes and carried a soft red lunchbox style bag. Police are urging anyone who may have any information that could assist police to contact Crime Stoppers on 1800 333 000, or via the Crime Stoppers ACT website. Please quote reference 5996492. Information can be provided anonymously.